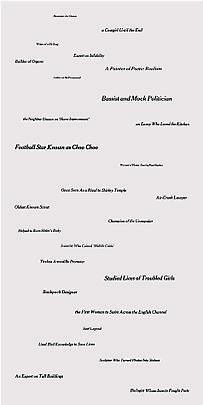 Marian Goodman Gallery is pleased to announce As Long As It Lasts, an exhibition curated by Tom Eccles. 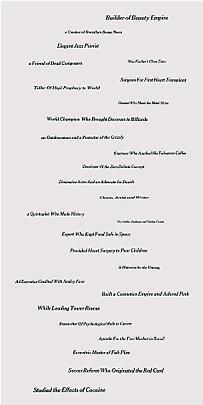 The exhibition will run Wednesday July 1st through August 28th, 2009. 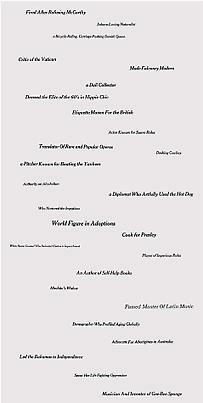 The exhibition As Long as it Lasts takes its title from a work by Lawrence Weiner and brings together art works by fourteen artists from different generations which, seen in the context of one another, ruminate on the transitory nature of life, the contemplation of mortality, impermanence, and immanence of death. 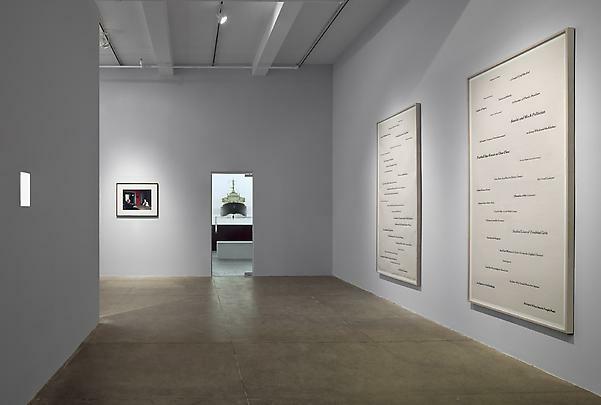 Poignant, and sometimes poetic, the works selected share an often personal, deeply felt, existential humanism. 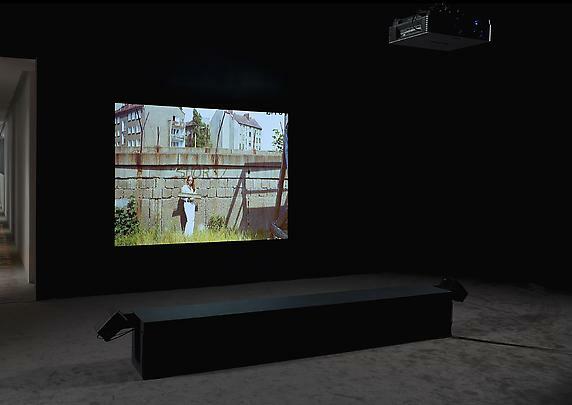 Tacita Dean's film portrait of Mario Merz (2002) portrays the great Italian Arte Povera artist in the final days of his life darkly ruminating under a tree. Shot on 16mm, the film was the result of a chance encounter with Dean in San Gimignano. 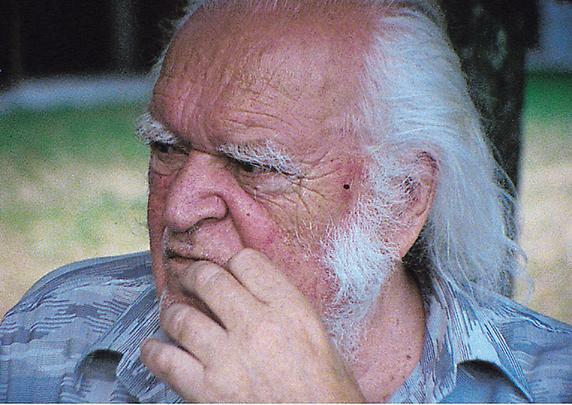 At one point the elderly Merz asks if the bells in the distance are funereal and is not convinced of the denial he receives. The rain comes shortly after, and the artist walks off-camera . In a similar vein, an animated film-work by William Kentridge, "Tide Table" (2003) shows an older gentleman looking out over the beach with the tide coming in. Each wave reveals another memory. The sea of course, "always gives up its dead," in this case the sweet and bitter memories of a life lived and now almost at its end. The film brings together drawings that evoke a sentiment of contracted temporality, where play, passion, and spiritual regeneration are entangled as in the notes of Tide Table's oscillating melody. For the German philosopher Martin Heidegger, it is when the objects around us fail to function that our "being-in-the-world" is revealed, like a faucet that fails to deliver water. 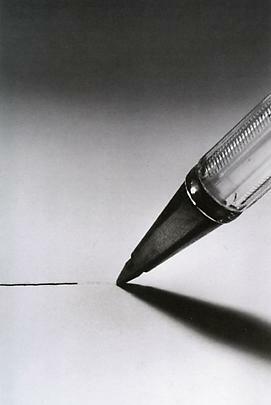 "Esaurita" (Exhausted) (1993), by Maurizio Cattelan shows an industrial Bic pen where the last drop of ink has been used. The pen's emptiness, and its ultimate disposability, allegorically suggests the brevity of life. It is now a useless object, used-up or as the title suggests "esaurito" (exhausted, finished, dead). 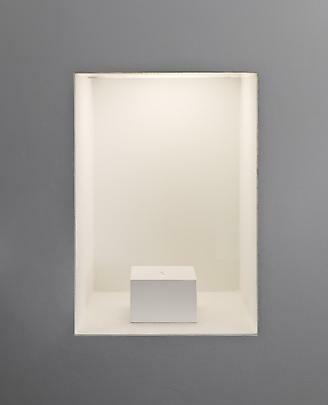 Reminiscent of a shrine embedded in the wall, Olivier Babin's "Perfect Day" (2007) is an experiment in re-incarnation where a synthetic diamond was made from ashes of the artist's previous sculptural work entitled "D-day" (2006). 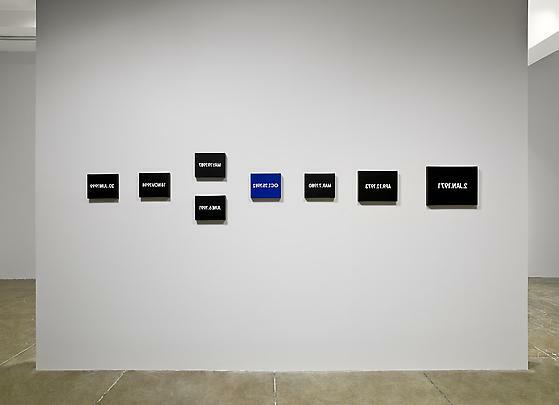 Babin's paintings from the series "Our Most Beautiful Years" (2008), invert the temporal investigations of On Kawara's date paintings as if looking at them through a rear view mirror. 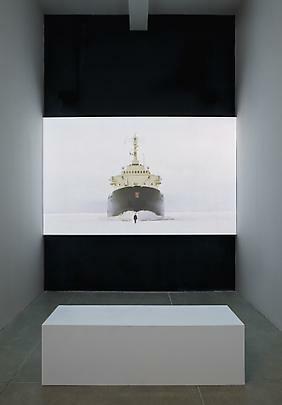 In "Nummer Acht (#8) everything is going to be alright" (2007), Guido Van der Werve, walks slowly on the frozen Gulf of Bothnia, in Finland, while being trailed by an ice-breaking ship several yards behind him. Seemingly unaware of the imminent danger that stalks him, the artist is overshadowed by the massive form of the ship that only the viewer sees. 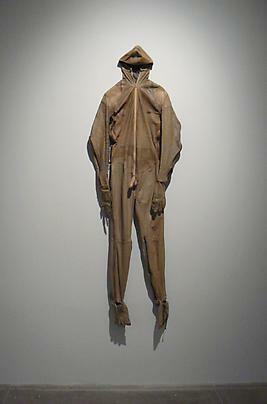 Also in the North Gallery hangs an uncanny sculpture by Pawel Althamer, "Skin" (1997). 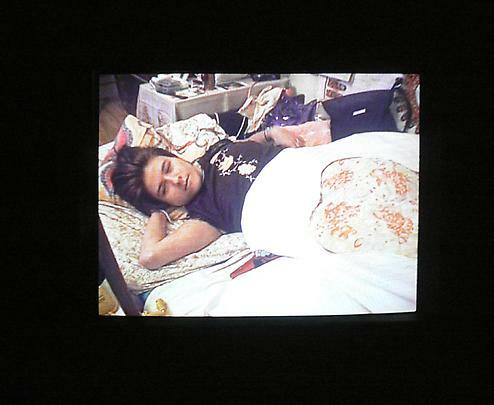 This work, an autobiographical representation of the disjunction between body and soul, continues the artist's ongoing exploration of the human body's fragility and its inevitable decay. 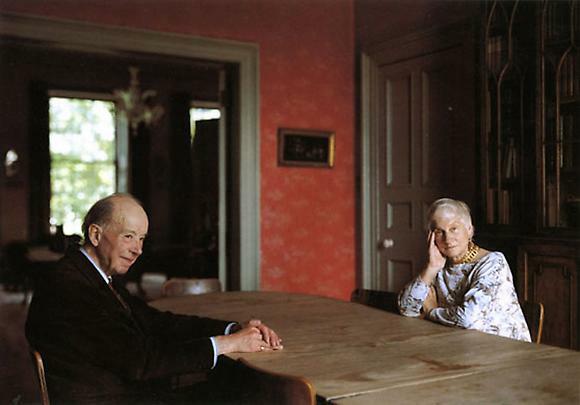 In "Eleonor and Giles Robertson, Edinburgh" (1987), Thomas Struth's photograph is a marker of time that portrays this couple at the crepuscule of a life shared together. The intimacy of the couple is upended by the divergent gazes of the sitters, as though each has heard the other's stories many times before. 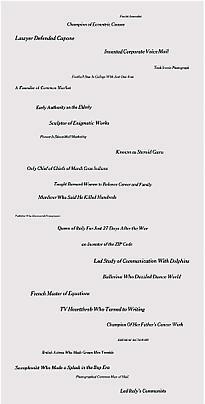 Gabriel Orozco's "Obit" (2008) is a series of works that compiles obituary headlines of individuals taken from The New York Times. 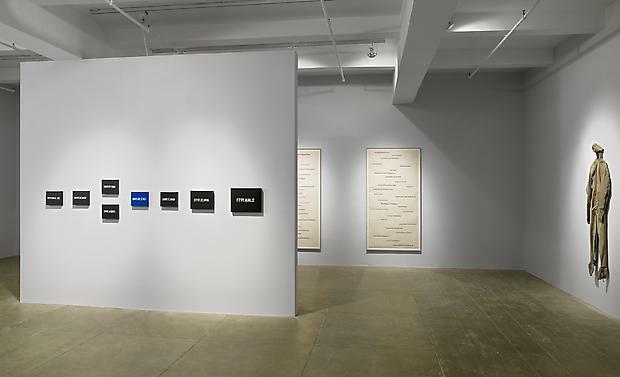 Disarmingly funny, Orozco has gathered these one-liners that define their subjects and arranged them on vertical sheets, as commemorative markers hung upon the wall. 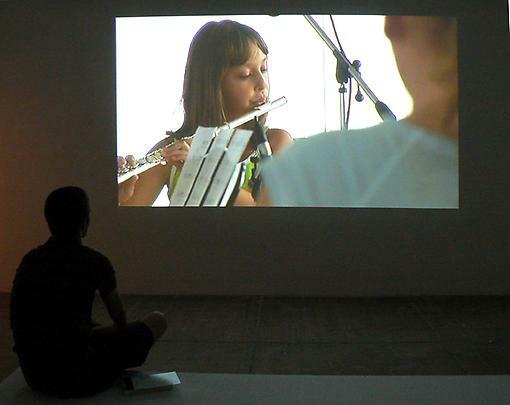 In the adjacent gallery, Johanna's Billing's looped film "Magical World" (2005), depicts children from the suburbs of Zagreb, Croatia, rehearsing a 1968 song by Rotary Connection "Magical World" (written by Sidney Barnes). Their struggle to sing in unison and in a foreign language acts as an anthem for the next generation, for an uncertain future, and presents a glimpse of a country in transformation following its collapse and renewal after a brutal civil war. 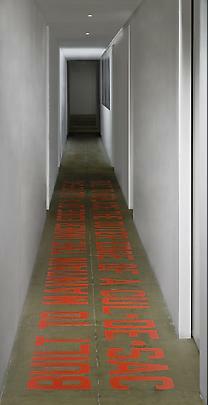 On the floor of the hallway between the North and South galleries Lawrence Weiner has installed a new text based sculpture: "Built to maintain the inner edges of a cul-de-sac" (2009). The 90 foot long sculpture is strategically located in the hallway connecting the two main rooms of the gallery, emphasizing its narrowness, length and ultimate destination. Artur Zmijewski's "Karolina" (2002) reveals an 18 year-old woman's struggle with advanced osteoporosis. She had responded to an open call by the artist for someone willing to share his or her experience. Karolina agreed to let Zmijewski record a conversation with her about pain, to unveil her body deformed by numerous surgeries, and to film her while suffering these physiological attacks. Berlinmuren, 2008, by Lars Laumann is a non-fiction documentary depicting the love of two women for the Berlin wall. One of them, Eija-Riitta Eklöf coined the term objectum-sexual in the 1970's to define her "marital" relationship to the Berlin wall. Since, Eklöf has been joined by other individuals who also believe in animism; that objects have souls, feelings and are able to communicate. Their loss is as deeply felt as any and the film portrays two women mourning a loved one, in this case a symbol of division between the West and East of Europe, but for them as close as any sexual partner. Pierre Huyghe's photograph "Opening" (2009) captures an ephemeral intervention created by the artist for the Guggenheim Museum in New York on the occasion of the opening exhibition, "anyspacewhatever" (2008-09). 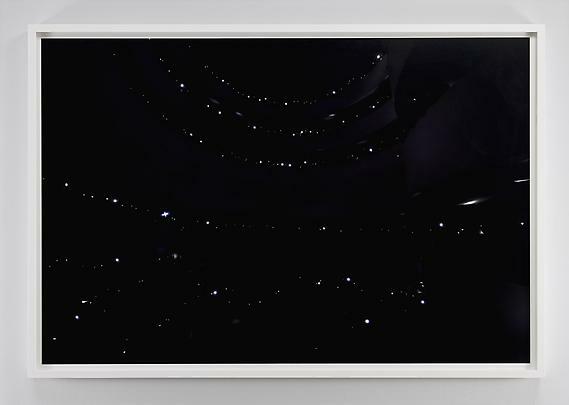 By darkening the ambient lights of the museum and enabling the viewer to perceive the works in the exhibition with individual pin-point light sources, Huyghe's intervention turned the public gathering into a series of individual tiny bright lights in the darkness of the rotunda, where the participants appear like stars within a galaxy. 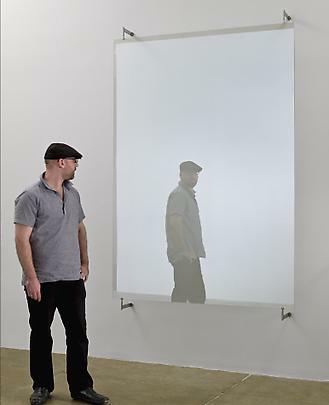 The exhibition also includes Gerhard Richter's "876-12" (2002), a large rectangular, antelio glass work with metal supports, literally reflective and reflexive, hung at both the beginning and end of the exhibition. "All in all, the mirror is a sign for both abundance and emptiness" , writes Armin Zweite in Seeing, Reflecting, Appearing: Thoughts on the Work of Gerhard Richter. Together, the works in As Long As It Lasts contemplate not so much death but life itself. Tom Eccles is the Executive Director of the Center for Curatorial Studies and Hessel Museum of Art at Bard College (CCS Bard) in Annandale-on-Hudson, NY. Assistant curator for As Long As It Lasts, Anaïs Lellouche, is an independent curator and recent graduate of CCS Bard. 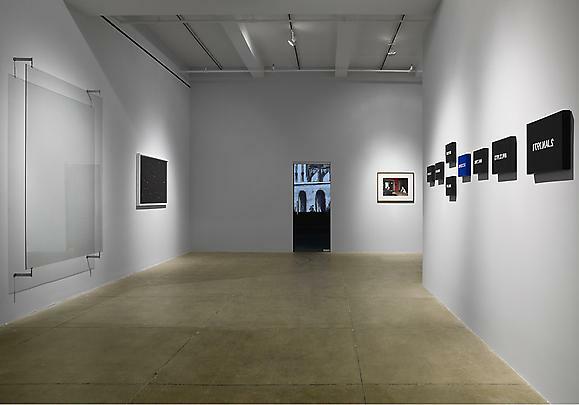 The Gallery's summer hours will be: Monday through Friday 10 a.m. to 6 p.m. For further information, please contact the gallery at: 212 977-7160.